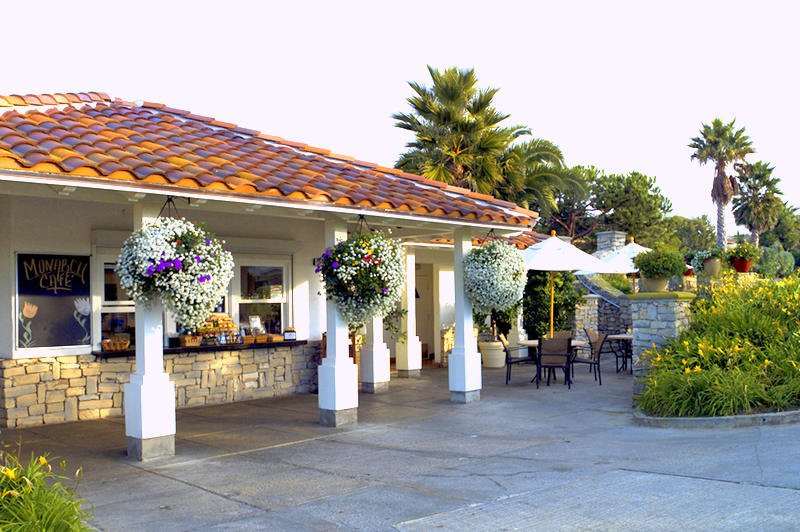 For those who get hungry while playing golf, we invite you to take advantage of our award winning Monarch Café. Conveniently located by the first, sixth, and tenth tee boxes, we offer a wide variety of items sure to suit your palate. From deli-style sandwiches and hot dogs to heatlhy wraps, the Monarch Café has a number of delicious offerings. Wash your lunch down with an ice cold beverage from our wide assortment of soda, wine, imported and domestic beer. Contact Monarch Café at 949.524.4839 for more information. Visit our Catering Menus page for more information on group catered events! Overlooking the Monarch Beach Golf Link’s first tee, enjoy a quiet morning brunch watching play on the fairways or share stories of the day’s 18 holes over drinks at the sunny Club 19 Restaurant and clubhouse. Flowing seamlessly from the inside dining area and bar to the outdoor patio, both with cozy fireplaces, Club 19 delights with classic American fare, big screen televisions, and peerless views of the course and beyond to the ocean. Next door, the golf pro shop offers a variety of golf apparel, equipment, and may connect you with knowledgeable pros to assist with your swing. To view dining facilities located within the Monarch Beach Resort please click the button below.